North Tours is a Dubai based tour operating company that has international expertise and up to date local information about this city in order to provide first rate services to their clients. This tour operating company has been able to develop a decent repute by providing quality services for over a decade long period. The secret behind this success are North Tours collaborations and ever strengthening ties with management of various top hotels, leisure spots and corporate companies. In addition to this, North Tours has their own fleet of vehicles to accommodate different sizes of groups for various tours. Four by four vehicles and buses are a part of this fleet and they also organize pick and drop service from airport to hotel or vice versa. Folks, who are impressed with the profile of this tour operating company can get in touch with them by visiting their office in Deira, Dubai or used the following information to contact them. The goal of this company is to provide best services to their clients and exceed their expectations by giving them best offers at reasonable rates. Moreover, North Tours look give unique experience to their guests by getting up to date information about this ever developing desert city. 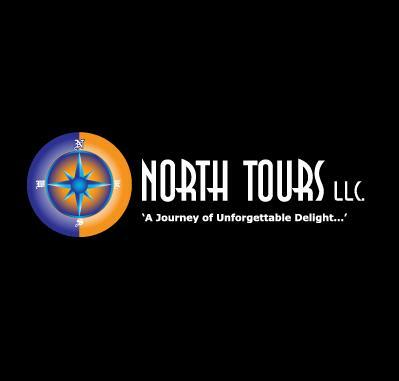 Aside from offering special tours and hotel packages, North Tours also has a lot to proffer their clientele. For instance, top tours offered by North Tours are Marina dinner cruise, Creek dinner cruise, Dubai city tour, evening desert safari, overnight desert safari, camel trekking, yacht charters, dolphinarium shows, Ferrari theme park, Ski Dubai and dune buggy/quad biking. North Tours’ office opens daily and its operational hours are from 8:00 am till 6:00 pm. Suite 901, Twin Towers, Baniyas Road, Deira, Dubai, United Arab Emirates. Head south on 27th Street, then turn right towards 27th Street and afterwards make a left turn onto 27th Street. Later commuters should make a slight left turn onto Al Maktoum Road/D 89, before turning right onto 11th Street that will lead the pedestrian to a right turn that goes onto Baniyas Road, from where destination is not too far and can be spotted on the right side after covering some gap. 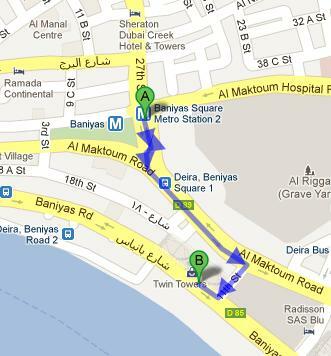 Deira, Beniyas Road 1 bus stop is 2 minutes walk and 150 meters journey from North Tours office. If a person gets to this station by using any of these bus numbers 27, 31, 53, C4, C7, C9 and C28 and then head in the southeast course on Baniyas Road towards 11th Street from this bus stop. Check map for directions.